DJ Tennis - founder of Life & Death - has been responsible for some of Sensu’s most memorable parties to date. 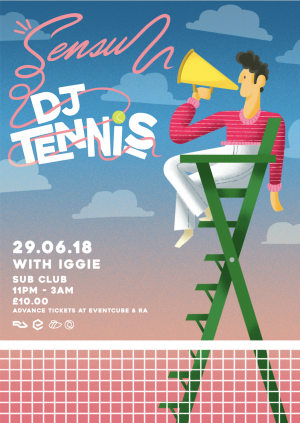 We simply can’t wait to welcome our good friend back to Sub Club with open arms. Support from our very own Iggie.